Alison has been in the food industry for over 28 years. From baking cakes for her sister in elementary school, to working as a cheese monger in high school, to waitressing her way through college, to managing fine dining establishments post-graduation, to eventually becoming Executive Chef at an Award-winning Fairfield County restaurant, to now acting as chef/owner of her own catering company–there is nothing Alison cannot do. She received her Bachelor of Science from the Hotel and Restaurant School at the University of Massachusetts, Amherst, and has been a server, bartender, floor manager, and chef at fine dining establishments all over the Eastern Seaboard and Tri-State Area. Alison also has a degree in Baking and Pastry Arts from the Institute of Culinary Education (ICE) in Manhattan, as well as an ICE certificate in French Cooking Technique. As a recipient of the James Beard Scholarship in 1995, Alison has been awarded many honors, including being selected “Chef of the Month” by several Connecticut newspapers while performing her duties as Executive Chef at the popular Sunset Grille in Norwalk Cove Marina. She has won numerous awards and publications over the years while working in the restaurant industry, and many of her recipes have been written up and featured in magazines and newspapers. Olivia Savarese became AMG’s Event Coordinator in 2008, and has now expanded her role as Director of Kids’ Cooking Classes. Born and raised in Paris, Olivia was taught at a very young age to appreciate all culinary experiences. Her father was a restauranteur and she quickly learned all facets of the “back” and “front” of the house. She gained much expertise from working in kitchens with brilliant French and American chefs on both sides of the Atlantic, as well as being an Event Planner for Levy Restaurants, Spiggia Dinning Rooms. Her international experience in the world of food informs and inspires her teaching, as do her two children. Olivia has a magical way of imparting information to kids of all ages and has worked as both a French tutor and a preschool teacher. Meshing her passions for teaching and culinary arts, Olivia offers an insightful and innovative approach to every child who steps foot in the kitchen. A professional, hard working, and friendly team. AMG staff prides itself on being professional and courteous, providing superior service with an exacting attention to detail. All event planners, floor captains, servers, bartenders and sous-chefs have worked in the hospitality industry for years, are well-versed in all areas, and genuinely love what they do. 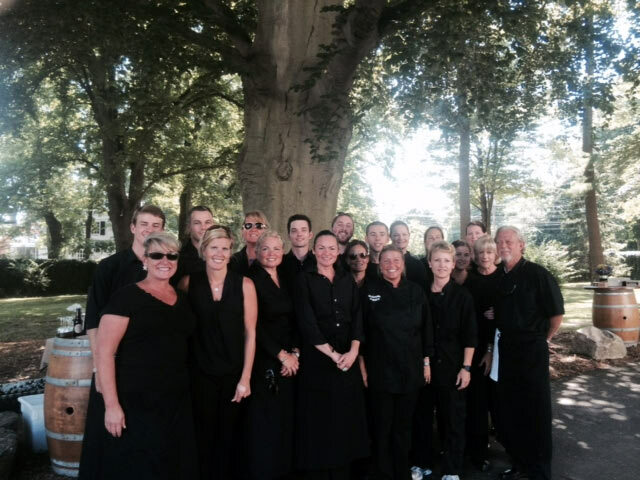 Chef Alison feels privileged that so many people on her staff have been with her for decades, following her from her restaurant days to her catering business. 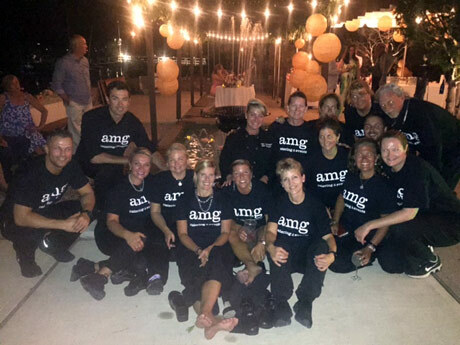 With Chef Alison at the helm, AMG staff derives great satisfaction from operating as an enthusiastic and successful team, offering an unparalleled seamlessness at each and every event.